Kremnica is one of the Middle Age towns which in its hay day was the centre of attention for many Kings and Queens. They were interested in the gold mines that are very typical of this town. On November 17th 1328, King Karol Robert from Anjou vested “CREMNYCHBANA” with the prestigious award of being a free King's mine and coin town. He also established a coin workshop here which was in use for over 670 years. Coins from Kremnica, called Kremnicke dukaty of floreny, are today one of the most valuable coins in Europe. 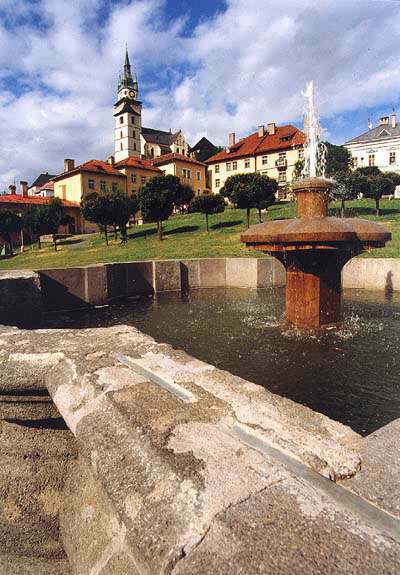 Mining and the coin making industry brought much wealth and glory to Kremnica. 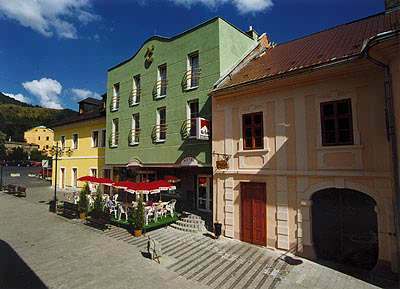 The town was called “Golden Kremnica” because of its highest gold production in The Hungarian Empire. The past glory of Kremnica can still be seen in the well preserved architecture. In 1950, the historical town centre became The Town Monument Reservation. It includes Temple with church, Baroque fountain and Mighty Baroque Plaque Column decorated by sculptures of Dionyz Stanetti – a famous sculptor of the mining towns. 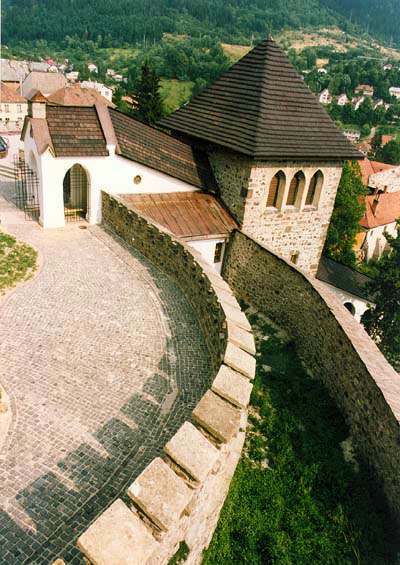 The oldest part of Kremnica can be found by searching out Kremnicky castle which is another National Cultural Monument. The most impressive part of this castle is The Church of St. Katarina. The historical centre with its monuments and the castle are the typical examples of gothic urbanisation. This hotel as its name suggests is located in the town centre and has 35 beds where the weary traveller can spend the night. There are also luxurious single and double-bed rooms, apartments with telephone, television, satellite TV and private bathroom. The hotel offers a pleasant atmosphere and benefits from a café, restaurant, terrace and lounge. 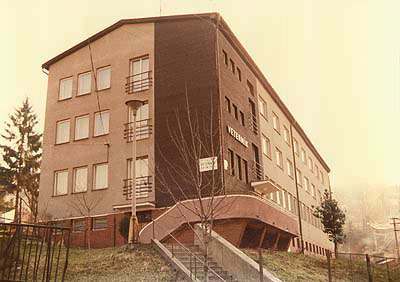 It also boasts its own sauna and congress hall for business meetings, seminars, training courses and miscellaneous social events. 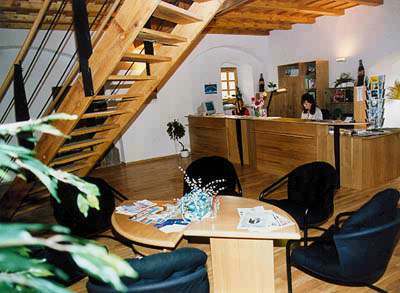 Hotel Veternik is located 100 m from the historical centre, close to the sports centre and is able to offer a wide range of services. Its staff are able to offer the guests an excellent service guaranteeing your full satisfaction. It has got apartments, double-bed rooms, and can accommodate a maximum of 52 people. Each room has its own shower or bath, TV, radio and other equipment to make the visitors stay most pleasurable. There is also a restaurant that can cater for up to 58 people, offering a extensive menu; café; terrace; garden with barbecue equipment as well as secured parking area for its guests. The Kremnicke mountains represent a geomorphological structure of volcanic origin which lie in The Western Carpatia. The highest peak is called Flochova and rises 1318 m above sea level. Recreational area Skalka is situated 1232 m above sea level and has very suitable conditions for both summer and winter walking and hiking. There are plenty of marked forest paths that can be easily followed in addition to a host of bike trails. There are also 15 kilometres of skiing tracks which connect Skalka with another recreational area called Krahule and 42 kilometres of “Biela Stopa SNP” tracks are used not only by professional skiers but also by the general public. 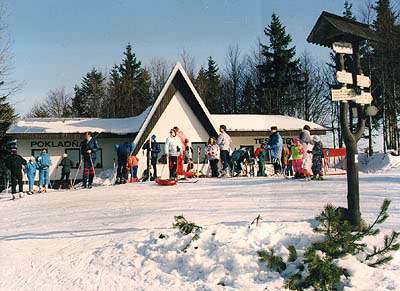 “Biela Stopa SNP” stadium has organised many important national and international skiing competitions since 1974. 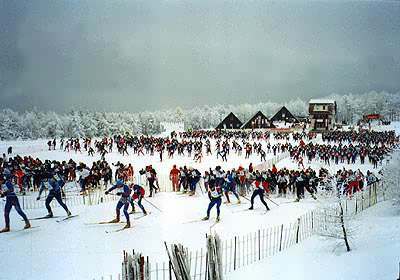 One of them takes place every other Sunday in February each year and since 1994 it has been accepted as a member of European long distance ski running competition – EUROLOPPET. 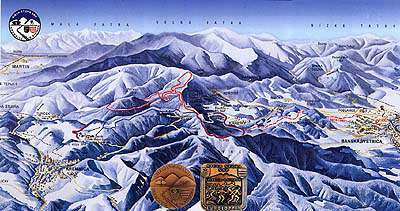 Ski-hot line telephone number +421-905-314204 enables you to find out about ski conditions in this area. 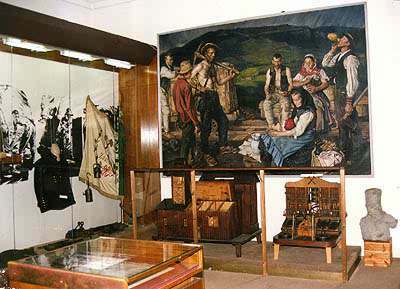 This museum was established in 1890 and is one of the oldest museums in Slovakia. Since its conception it has focused its attention on numismatic collections and it offers its visitors the only special numismatic exposition in Slovakia and historical exposition of mining industry in Kremnica too. This museum is from 15.october 2000 to 31.december 2002 closed due to reconstruction. The exhibition is connected with the visit of Church of St. Katarina. This church, with neo-gothic interior and outlook tower, is known for its fabulous organ concerts. There is another exposition of guilds called “The Beauty of Old Crafts” in The House No. 32/38 and some short-term exhibition of painting in the gallery located in The House No. 33/40. In the same complex you can find three pools, fitness centre, sauna, buffets with fast refreshment, tennis courts, gym, athletic stadium and football stadium. 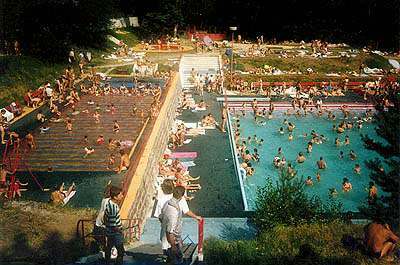 The swimming pool is open from June till August and fitness centre as well as sauna is open all year round.